Due to Strike Action by some French Air Traffic Controllers from 17:00 UTC 26th May until 05:00 UTC 28th May 2010, we are advising passengers that they may experience flight delays or possible cancellations. Ryanair will do everything possible to minimise any flight disruption. RYANAIR has threatened to close its Marseille airport base, reduce its routes to the city and move all of its jobs out of France if it is prosecuted for employing French staff on Irish work contracts. The budget airline has confirmed in a statement that its 120 staff at Marseille airport pay Irish tax and pension contributions instead of the French equivalents. However it insists that this complies with EU laws because their workplace - the planes - are registered in Ireland and therefore count as "Irish territory". Ryanair air this morning has said, "Based on current Eurocontrol and meteorological forecasts Ryanair expects no airport closures Tues 18th May", however all passengers should monitor their Ryanair flights to France flight status on Ryanair's website at www.ryanair.com. 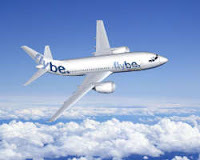 Flybe have just announced that they will be extending some of their Flybe flights to France through this winter. The French news this morning predicted that the ash cloud would spread south over the next few days and could well result in some more airports in France closing. "For the period 1900 today (local time) until 0100 tomorrow (Monday) London’s main airports will still be clear of the no-fly zone imposed by the CAA due to the high density volcanic ash cloud. The ash cloud continues to change shape and move further south to just north of Oxford during this period. This brings Birmingham and Norwich inside the no-fly zone in addition to those airports already affected. The northerly extent of the no-fly zone in England now includes Teesside, stopping just short of Newcastle, and tracking northwest in a line just north of Carlisle, which remains in the no-fly zone. Airports inside the no-fly zone in England and Wales now include Carlisle, Teesside, Humberside, Leeds Bradford, Blackpool, Ronaldsway, Caernarfon, Liverpool, Manchester, Sheffield, Doncaster, Norwich, Birmingham and East Midlands. In Scotland the no-fly zone includes the Western Isles, Campbeltown, Prestwick and Oban. All airports in Northern Ireland remain inside the no-fly zone during this period. There are currently no other restrictions within UK airspace. 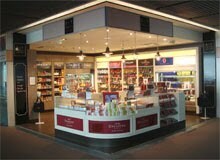 Information on airports in southern Ireland can be obtained from the Irish Aviation Authority website (www.iaa.ie). Looks like the ash cloud is on its way back and could mean flight cancellations from tonight from UK airports. Watch this space and as always, check directly with your airline before you head off to the airport. Ryanair said today, "Based on current Eurocontrol and meteorological forecasts Ryanair expects no airport closures today Fri 14th May." Flybe, the UK’s Number One Domestic airline, has become the first airline to offer you the opportunity to buy Volcanic Ash Insurance underwritten by travel insurance partner, Chartis. This innovative move allows you the opportunity to book with renewed confidence as you will have cover should the UK Civil Aviation Authority or any relevant overseas equivalent close airspace and scupper your holiday plans. Ryanair Holdings PLC announced that it would compensate passengers for the costs of being stranded by the ash cloud. The cloud had closed airspace over most of northern and central Europe for six days. 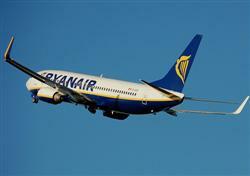 Ryanair shared that it was prepared to go to court to challenge current European Union rules. The rules state that airlines have a "duty of care" to passengers and that the receipted expenses for costs incurred due to flight delays must be refunded, in case passengers choose to be re-routed, instead of taking their ticket refunds. Europe's largest low-cost carrier, Ryanair Holdings announced this Thursday that it would follow the E. U. rules, but will also try to change them. Ryanair Chief Executive Michael O'Leary said, "The events of the last seven days, under which Europe's airlines were prevented from flying by the closure of European airspace, highlight how absurd and discriminatory the regulations are towards Europe's airlines". The duty-of-care rules for events that are outside of an airline's control should be changed, according to the airlines across Europe, who are requesting national Governments and the E. U. to help pay for the cost of the crisis.